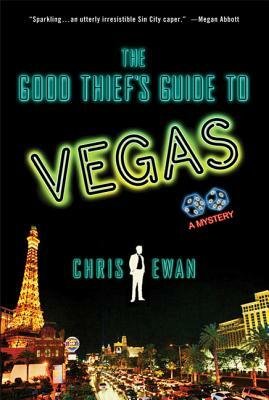 Chris Ewan's The Good Thief's Guide to Vegas is the next caper in a series that's being called "impressive… comic…fresh" (Publishers Weekly--starred review). Charlie Howard isn't only a part-time crime writer and part-time thief; he's also a magician. For his next trick, he'll relieve Josh Masters, the famous illusionist vying for the affections of Charlie's agent Victoria, of a fortune in casino chips stashed in his hotel safe. Revenge would be sweet—if there weren't a dead redhead floating in Masters' bathtub and Masters himself hadn't just disappeared in a puff of smoke after cheating at roulette. Convinced that Charlie is in on the scam, the casino's owners give him an impossible mission: pull off an elaborate heist to reimburse the house for every dollar his "accomplice" made off with, or enjoy a one-way trip into the desert.